SEOUL — North Korea's latest defector, a young soldier known only by his family name Oh, is a quiet, pleasant man who has nightmares about being returned to the North, his surgeon said on Thursday. 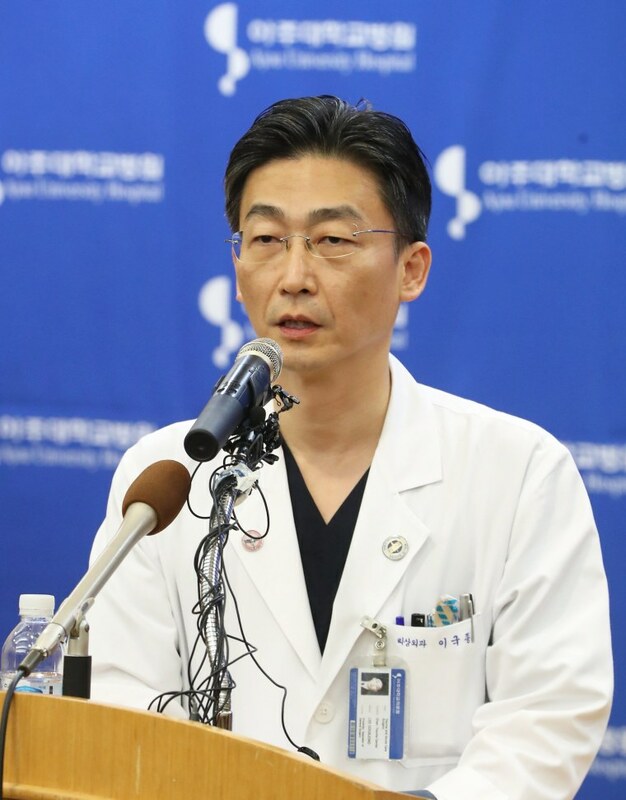 "He's a pretty nice guy," said lead surgeon John Cook-Jong Lee, who has been operating and caring for the 24-year-old. Oh has become a focus of worldwide attention after he was badly wounded by fellow North Korean soldiers as he scrambled across the border in the Demilitarized Zone that separates North and South on Nov. 13. Lee has been almost the only person to speak with Oh since he arrived at the hospital, he told Reuters in an interview at his office at Ajou University Hospital, just a few floors away from where the defector lies guarded by South Korean special forces and intelligence officers. Lee said that when the defector arrived in an American military helicopter at the hospital — which is equipped with state-of-the-art diagnostic equipment and is used to treat VIP visitors such as visiting U.S. presidents — he came with zero personal information. Two major surgeries were required to remove the bullets and patch Oh back together, and the medical team pumped as much as 12 liters of new blood into his body. The normal body has less than half as much blood. Most North Korean defectors undergo security questioning by South Korea's intelligence agency once they arrive in the South before being sent to a resettlement center for a three-month education on life in the South. After they are released, central and local governments provide 7 million won ($6,450) in cash over a year, as well as support in housing, education and job training.